Radboud University is a student oriented research university located in the city of Nijmegen, Netherlands that was founded in 1923. The university is an international institution with students and staff from all over the world, where international students and Dutch students can work together. The university has a population of 19,000 students, including 1,700 international students. Nijmegen is located near the German border, and is the oldest city in the Netherlands. In 2005, Nijmegen celebrated its 2,000th anniversary. The city has numerous cafes, parks, concert venues, museums, historical sites, and theaters, as well as space to participate in outdoor activities. Radboud University offers many courses in English that are open to exchange students in various subjects, including Art History, Business Communication, English Language and Culture, History, and North American Studies. Exchange students can also take language courses in Dutch, Spanish, French, and German. Please note that some subjects only offer undergraduate courses during one semester, and offer graduate courses during the next semester. Alternatively, exchange students can choose one of the Radboud Minors. Rather than choosing several individual courses, students in a Radboud Minor will take 3-5 pre-selected courses that are centered around a certain topic, such as European Business Law, Gender and Culture, and International Economics. Students can choose a Radboud Minor in the following faculties: Law, Medical Sciences, Social Sciences, Management, Science, Arts, and Philosophy and Religion. There are also Interdisciplinary Studies Minors available, which include courses from several different faculties. Undergraduate and graduate students who have currently completed at least one year of full-time study with the most recent semester completed at UMass Boston are eligible. Students must be in good academic standing (at least 2.75 GPA) with no disciplinary problems. Students will be nominated to the university by the UMass Boston study abroad office, and will then have to complete a Radboud University online application. The Housing department of the Radboud University International Office can assist students in finding accommodation for your time in Nijmegen, but does not guarantee to find housing, as rooms are limited. There are three student complexes available: Talia, Vossenveld, Hoogeveldt. Each complex is 20 minutes or less to campus by train or bicycle. Students will have a private room and share a bathroom and kitchen. There are also rooms in private houses available to rent in the city. To study in the Netherlands for more than 90 days if you are a resident of a non-EU country, you will have to obtain a residence permit. Typically, the university will apply for a residence permit on the student's behalf after acceptance. For more information, visit the Radboud University website or Study in Holland. 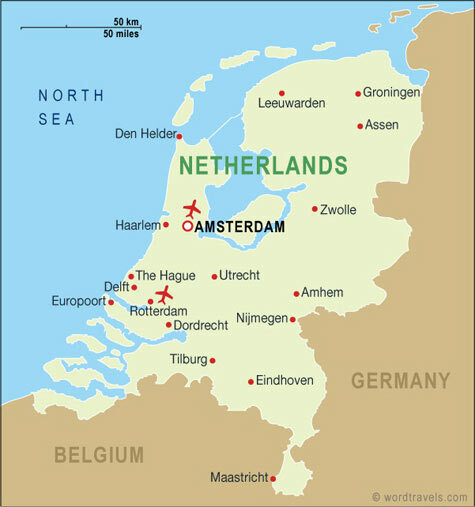 You do not need a visa to enter the Netherlands. To study in the Netherlands for more than 90 days if you are a resident of a non-EU country, you will have to obtain a residence permit. Typically, the university will apply for a residence permit on the student's behalf after acceptance. For more information, visit the Utrecht website. Once you have been admitted to your study programme, you will need to finalize your enrollment in our online system. These procedures will start approximately four months before the start of the semester. In this system, you will be asked for all the necessary details for your registration, residency and visa procedures, emergency contact details and proof of health insurance. Your residence permit has to be approved before the start of your programme (1 February or 1 September). Please check to see the fee for the residency permit. This fee is not refundable. Your documents will first be checked online after you have successfully submitted your file for immigration. To complete the actual residence permit application for the Dutch Immigration and Naturalization Service (IND), you will need to send in the above documents. All documents must be in Dutch, English, French or German. If your documents are in another language, you must arrange for the documents to be translated by an official translator. Student residence permits will be issued for the duration of the nominal study programme plus three months. The nominal duration of study programme is three years for a Bachelor’s programme and one or two years for a Master’s programme. After you have finished the enrollment procedure, you will receive an invitation for a Start Appointment upon your arrival.